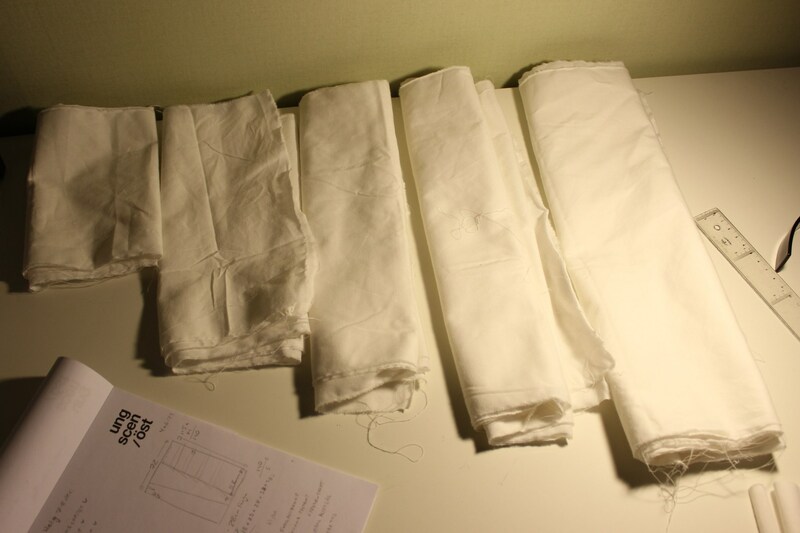 And so we start of the new sewing year with HSF14 Challenge nr 1: Make-do/Mend. As I stated before, I’m determend to try to fit the challenges this year in to my list of items which needs to be made. 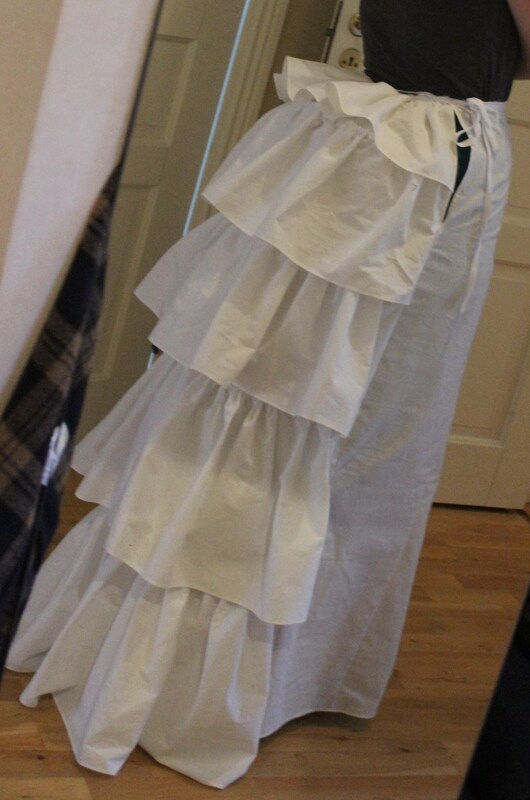 So with a bit of bending the rules on this challenge, I got to use it for that 1880s ruffled petticoat I desperetly need for my up-coming balgown. 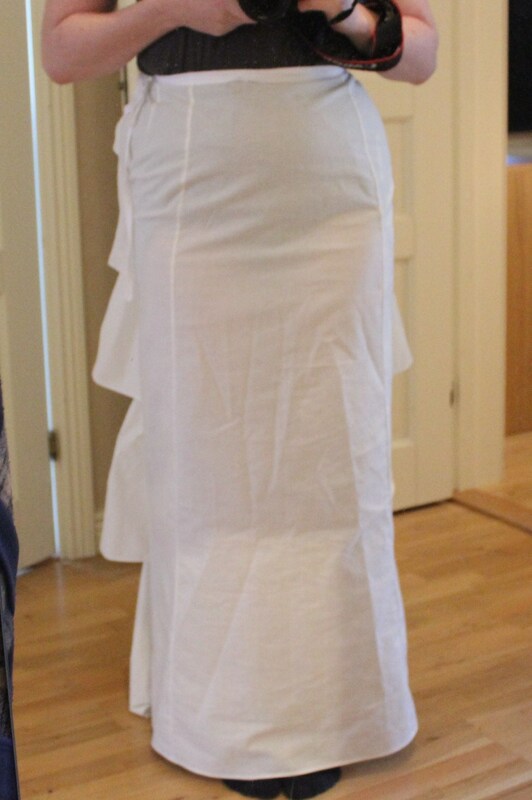 For this challenge I made a petticoat out of a bedsheet. 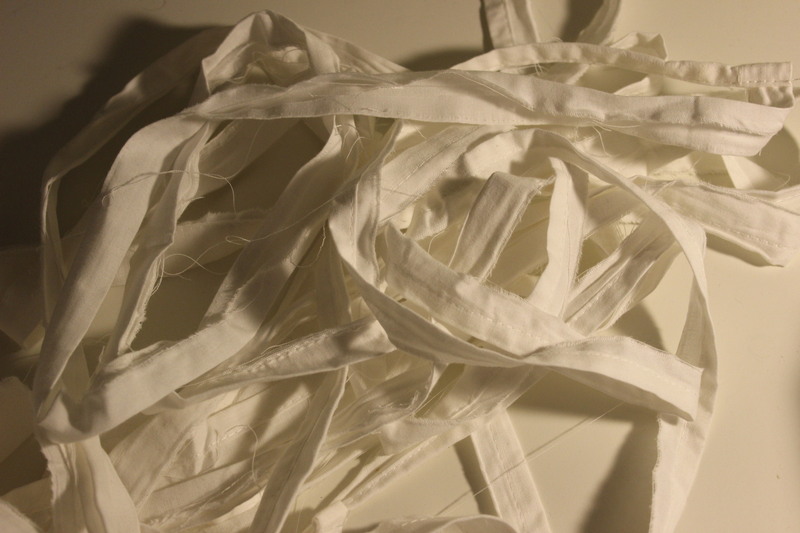 I started by ripping the sewn hems of it, and throw it into the washer. I used no pattern – only some diagrams and pictures for reference. 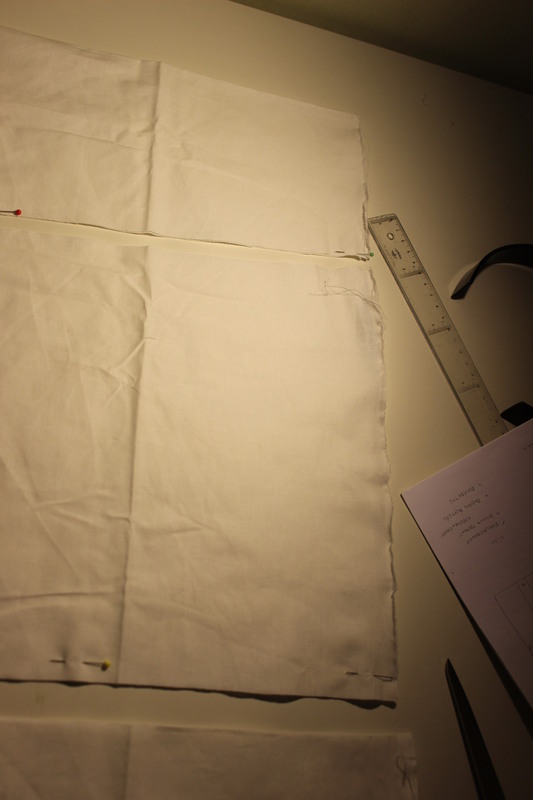 And cut the skirt pieces out of half the sheet. 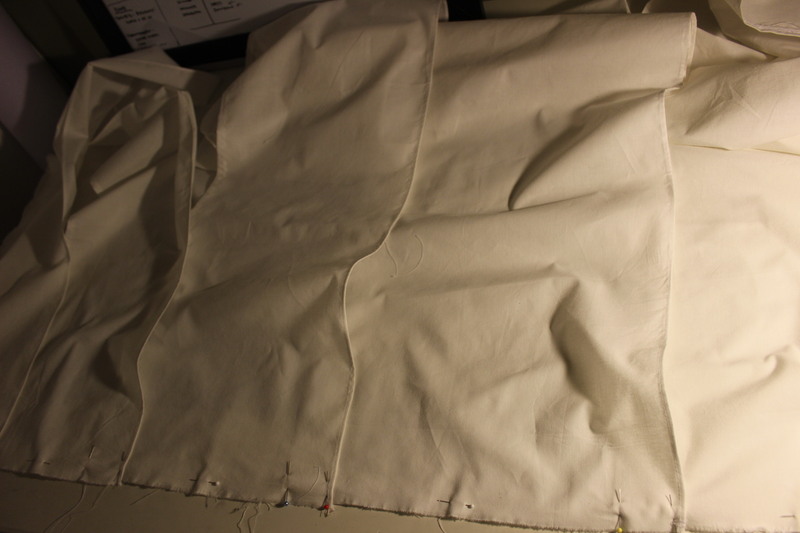 And the ruffeling pieces from the rest, making them bigger and longer further down the skirt. 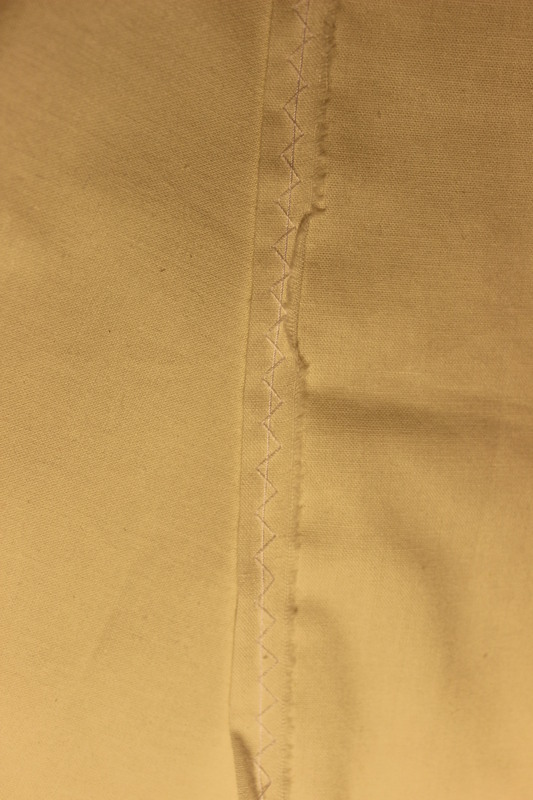 I sewed gathering thread on all the ruffels using a strong button-hole thread and sick sack stitch, hemming them at the same time. This technique makes it very easy to gather the ruffels later on. 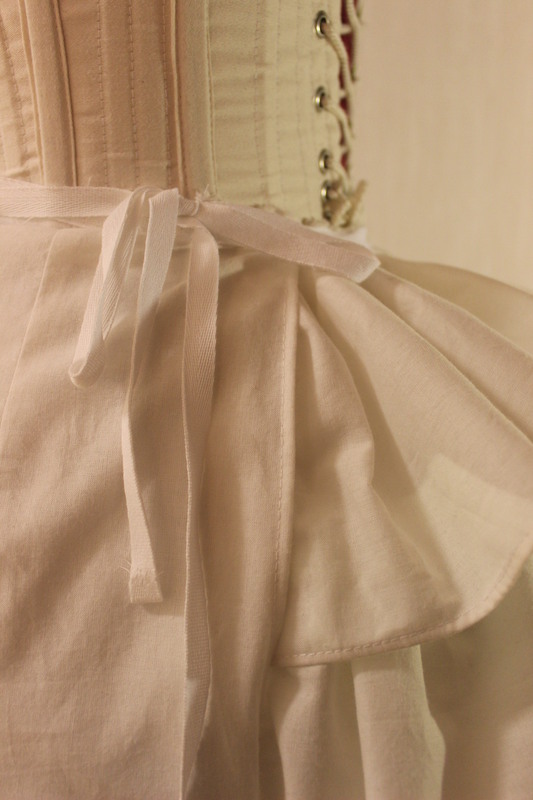 Then I hemmed and measured the spacings of all the ruffels. 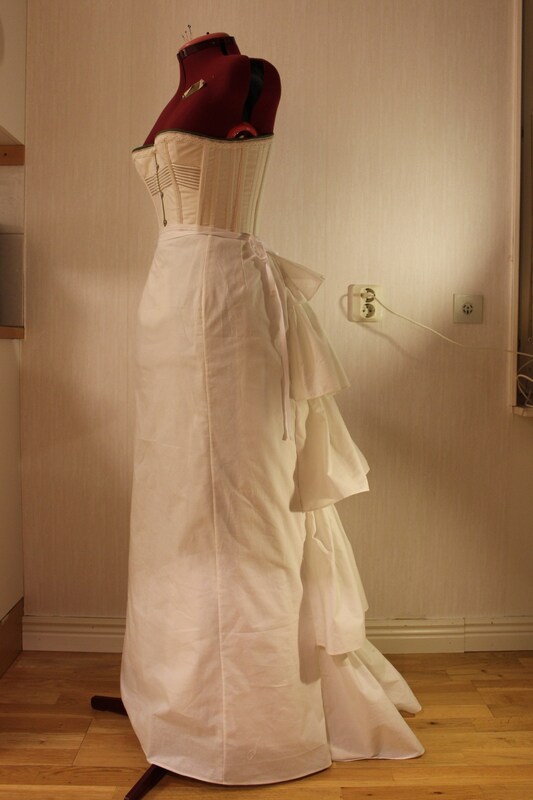 Then I gathered all the fabric and stiched it down on the back piece of the skirt. 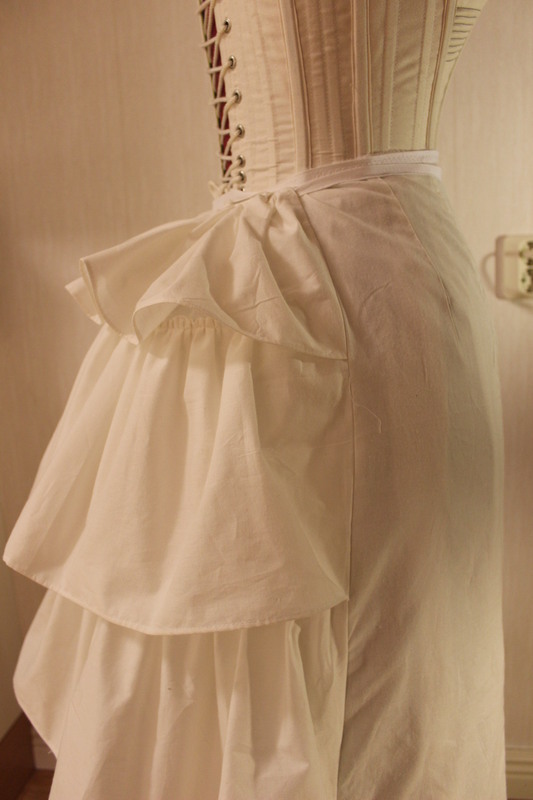 And lastly I Sewed the front skirt to the back and stiched on a cotton twill tape as a waistband. And then I tried it on – and I hated it. It is way to narrow in the front (making me look huge) and the ruffels need to be at least twice as fluffy. And I do think something is of in the lenght proportions of the ruffels. 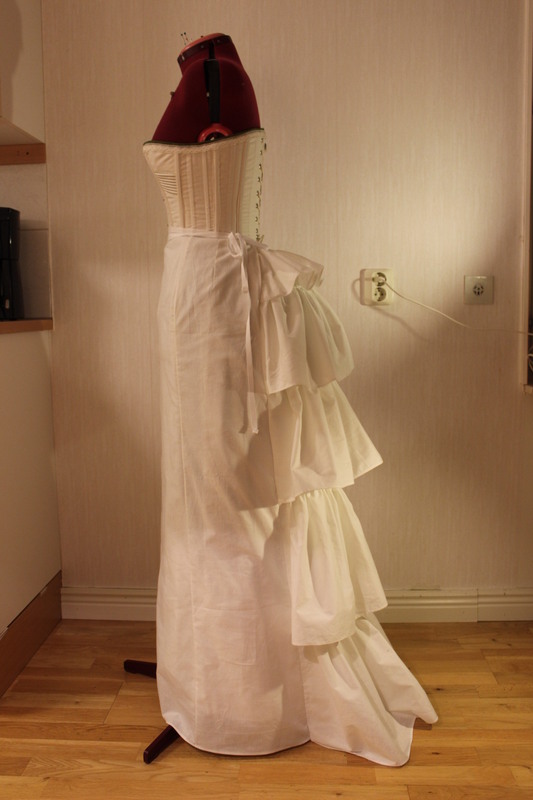 Well here it is on the dressform looking a bit better but still way to slim in the pouf department. With a night to sleep on it, I do think it will work for my purpose, but I know it will probably go straight into the re-make pile once the present event has past. 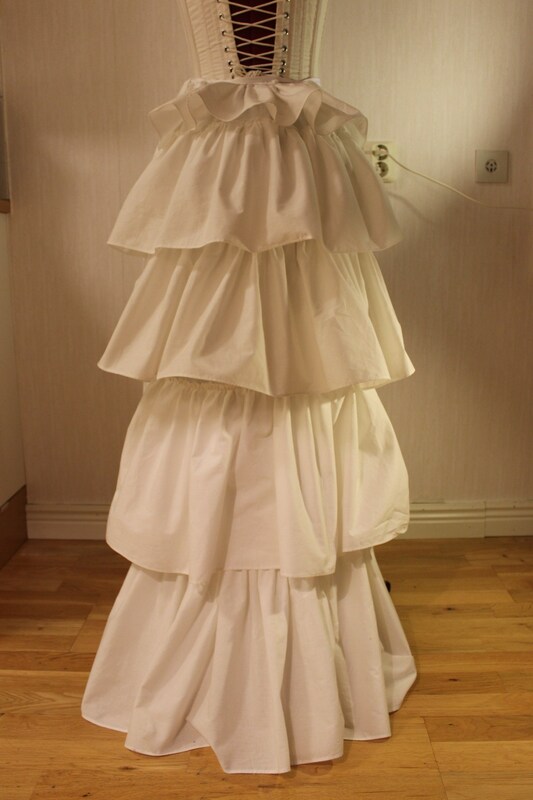 What: A ruffeled bustled petticoat made out of a bedsheet. Year: About 1870 – 1890s. 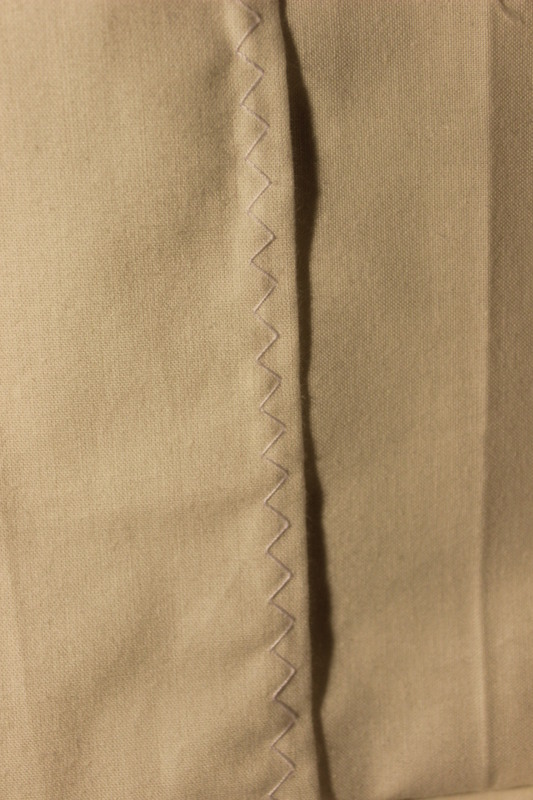 Fabric: One white cotton bedsheet – 1,5 x 2 m.
Notions: Thread, strong thread (björntråd) and 2 m of 1 cm wide cotton twill tape. Historical Accuracy: So so. The style and siluett is about right, but I’m sure the ladies of the day knew not to scrimp on the fabric in this kind of grmnent. Maybe 4/10. Cost: 90 Sek (10 Usd). 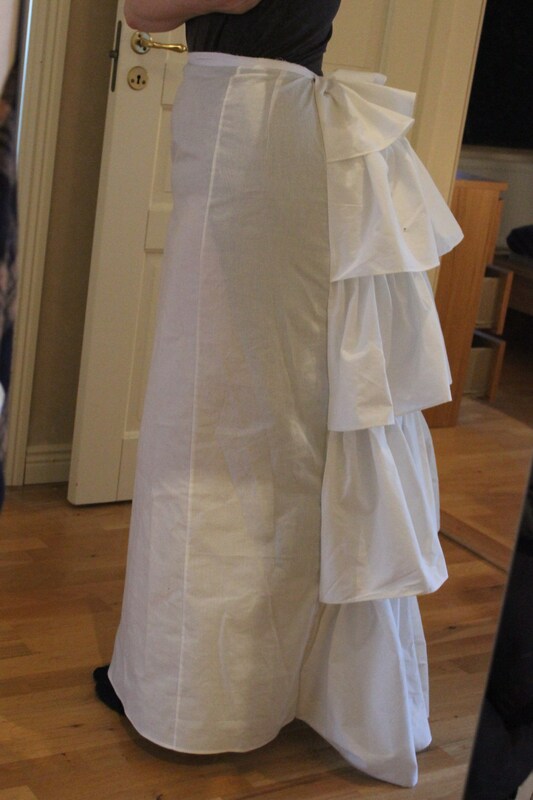 First worn: Around the house for photos (and testing the toile for the gown…) But it will get a proper outing on january 25, for the gran bal at the opera. 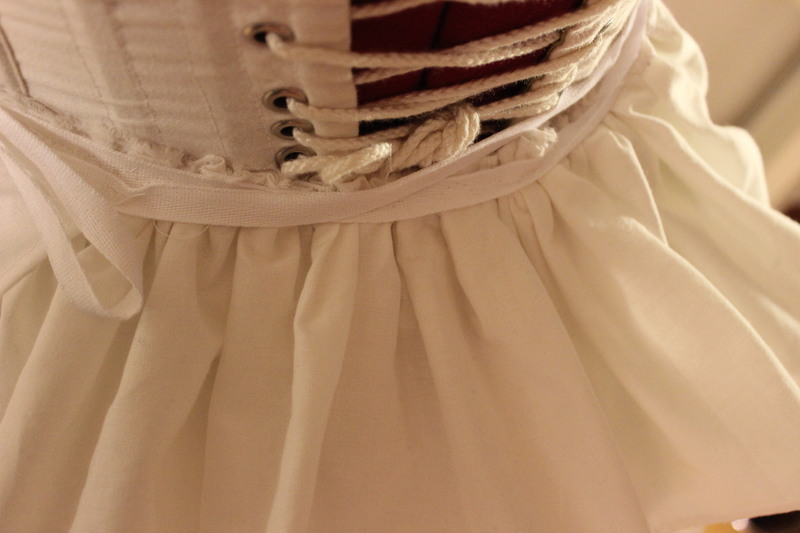 Final Thoughts: I think this petticoat was to much of a rush job to begin with. 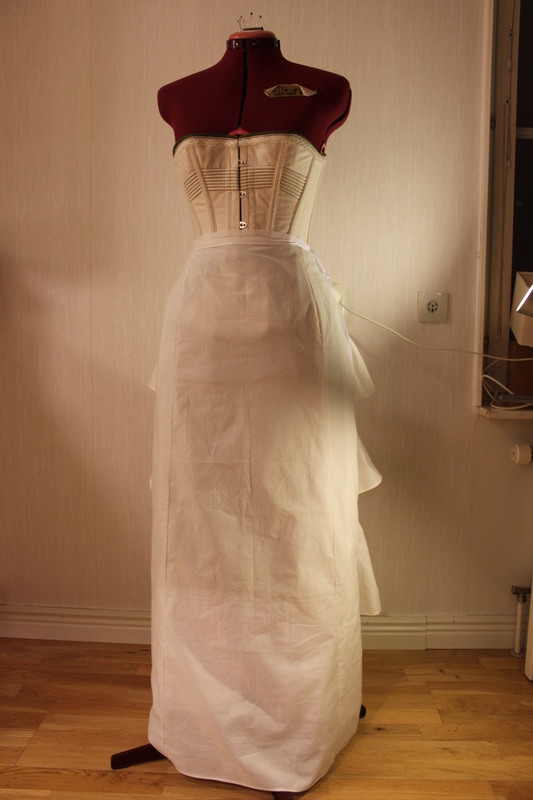 I wish I had taken the time to make it proper and use enough fabric to get a nice ruffeled bustle. Instead I spread the ruffels to whide and gathered them to losely. It’s a good thing it will be hidden beneath the skirts. Remember to set a link to the lovely ladys blog 🙂 age is so talented. I Think Tour bustle looks great! 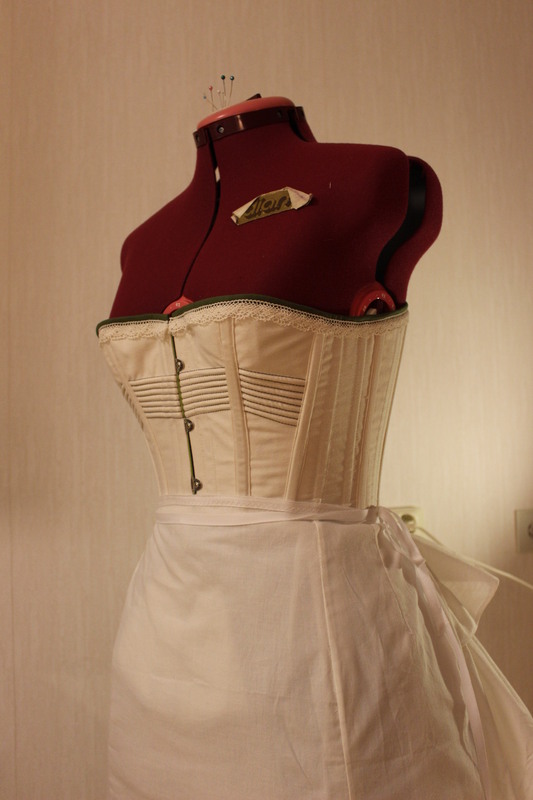 The corset is not really finished in these photos, but it will be in time for the HSF nr 2, on january 30. Then i will show you all of it. Can’t wait. 🙂 You’ll get to see my first attempt at a Regency one on March 1st. Oh nice! Looking forwar to it. 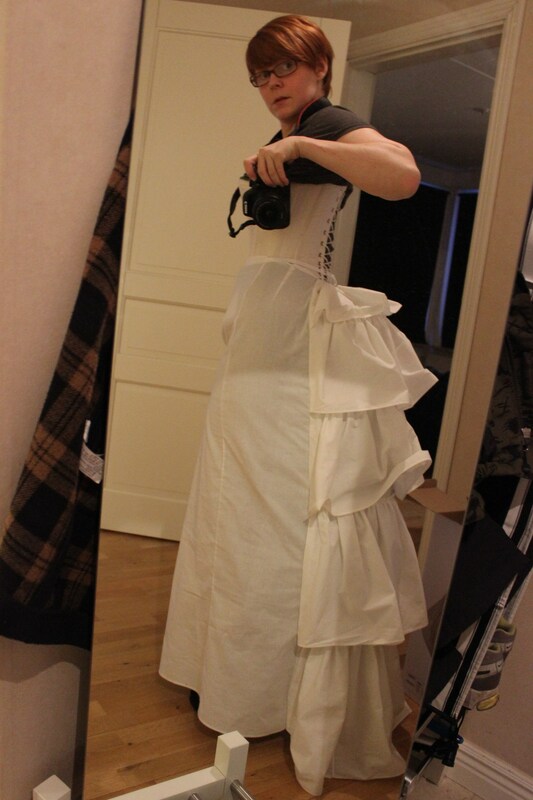 fantastic idea…..I need to add more ruffles to my petticoat.